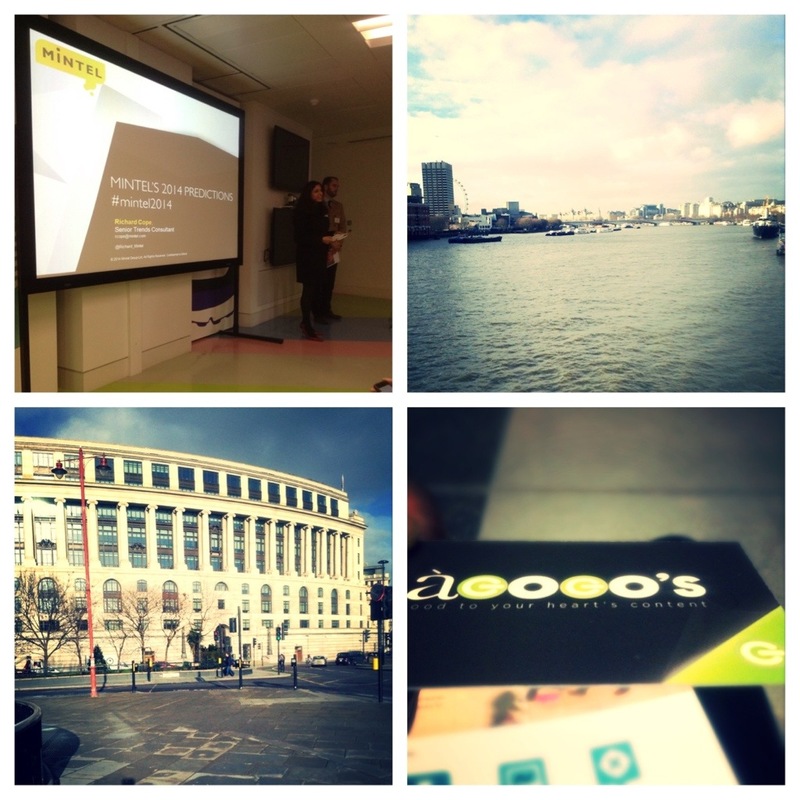 So we were out in full force learning and networking at a Mintel HQ. Mintel Consultant ‘Richard Cope’ had some interesting thing to share regarding Hot trends for 2014. This entry was posted in Out and About and tagged 2014, Barbican, Brazil, Britannia, Catering, Food and Drinks, London, Mintel, Networking, Technology, Thames, trendhunters, trends by agogosfood. Bookmark the permalink.